Trimming your dog’s nails can be a delicate task especially if your dog has black nails instead of white nails. With white dog nails you can easily the pink quick but with black nails, you’re left guessing where the quick might be. The trick with black nails is that you need to start trimming before you can have an idea where the quick is. 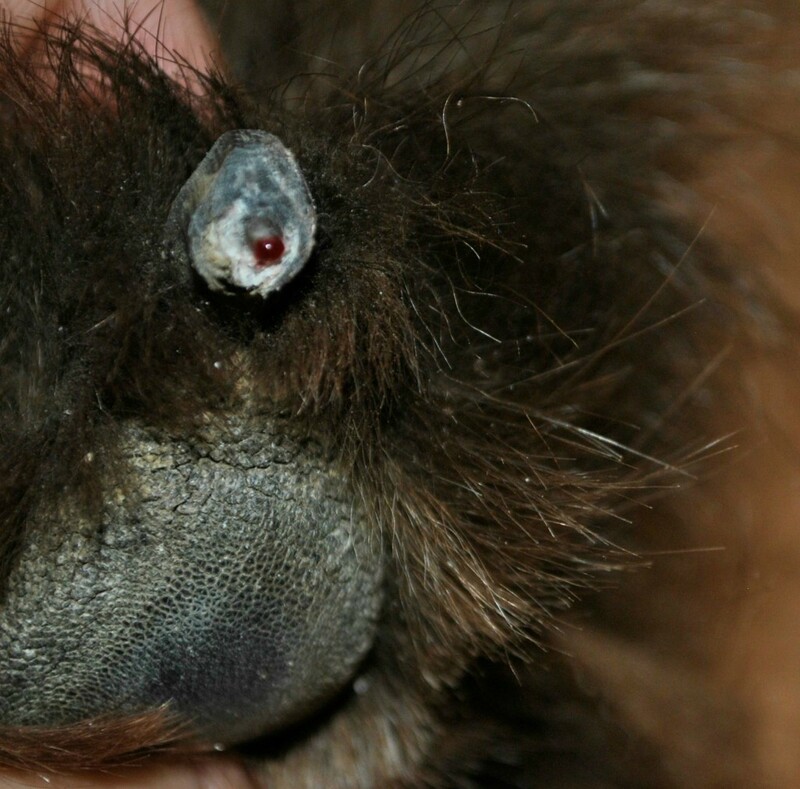 Inside of a dog’s nail, there is a grey dot. This grey dot is the beginning of the quick and your clue to stop trimming. 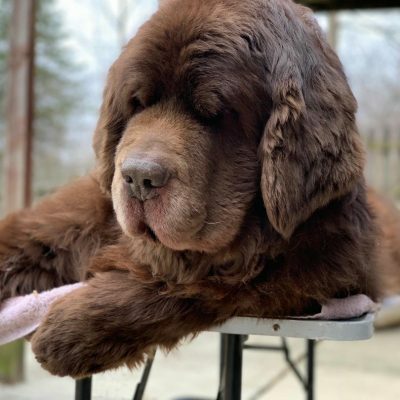 Here are a few tips for trimming your dog’s black nails. 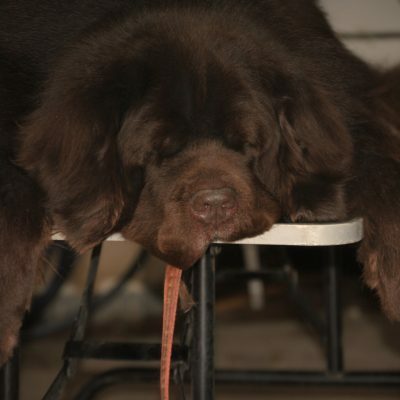 Before you begin trimming make sure that your dog is comfortable with you handling their paws. It’s always a good idea to start this when they are young. Gently grab their paw and massage it a little and put it back down. Repeat this step a few times. If your dog shows any signs of being comfortable you can try to offer them treats for good behavior or you can even use some peanut butter or spray cheese and set a few squirts in front of them or on a wall or cabinet. There’s even a product called a Lick Lick Pad that you can stick to a wall and spread peanut butter on it. If your dog still seems super uncomfortable or agitated I would suggest stopping right there and just let a vet tech or veterinarian trim the nails. The struggle isn’t worth you getting bit or your dog getting hurt. If your dog seems good, start trimming their nails one at a time. Just take off small amounts or even slivers. Don’t lob off half their nail. Keep shaving away until you see the beginning of a grey oval. When a dark oval is starting to appear this is where most people should stop. A few more slivers and you will be at the quick. One more sliver here and the dot will be a lighter grey, almost whitish in some nails. This is what it will look like if you keep going. This is the farthest that you should trim. If you can’t contain yourself and must keep going you’re going to hit the quick like this and the blood will begin to flow. If your dog has white and black nails you can use the white nails as a guide to where the quick may be on the black nails but keep in mind that all nails are different and the quick may be longer or shorter on other nails. Cut your dogs nails from the underneath and not from the top. 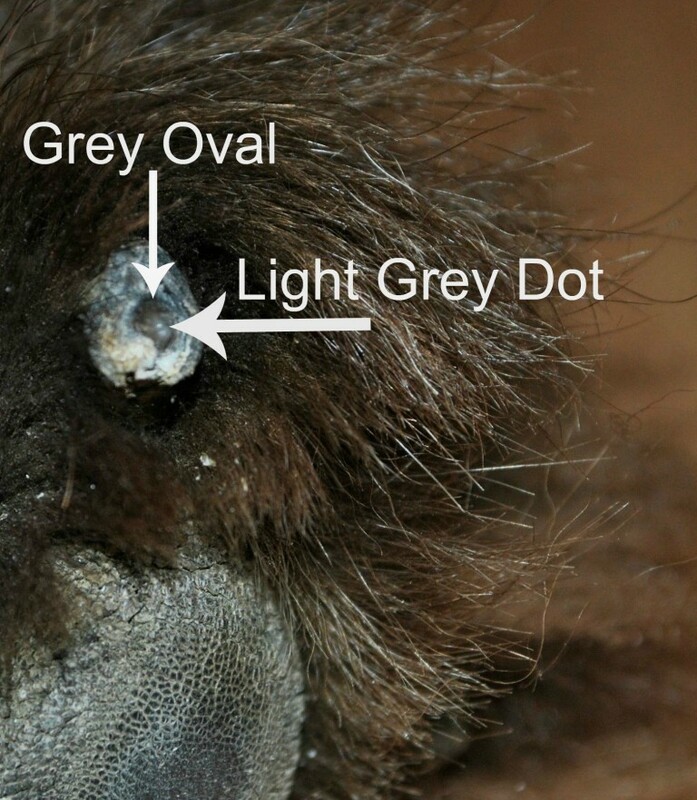 If you don’t see a grey dot for whatever reason and you’re getting nervous either apply pressure to your dog’s nail and see if they react or just stop cutting. You can use an emery board or dremel to finish the job off. Make sure your nail clippers are sharpened. Blunt clippers will crush the nail and make trimming much more difficult. If you hit the quick and the nail is bleeding, don’t panic, you can easily stop the bleeding. Read this article here to stop a dog’s bleeding nail. Great tips! Some of Roxy’s nails are really dark, I’ll keep this in mind when I trim her. Thanks Mary! I hope it helps a little bit. I know trimming black nails can be intimidating for a lot of people. Wonderful photos for visualization references. I have white nails that you can hold up to the light and clearly see where the quick ends but most of the times I have purple nails. Ma has to look at the bottom of the nail to see where she is at in the trimming. I have always had super long nails because my quick is so long. Ma has always used a dremel on them. My groomer told ma she needed to trim them first because the clipper would shock the quick into pulling back and then she could use the dremel to shape them up. So far this method has not helped. Some people see my nails and comment how they are too long but when I stand up my nails do not touch the ground. Long quicks are common. I’m surprised that yours aren’t receding though. I always like to kind of square of the nails when I’m trimming so that I’m getting all the nail around the quick too which is probably what you’re doing with the dremel. I trim all of our dogs’ nails at home…and black nails are indeed the worst and most problematic. I’m going to try this trick with Tut and Penny! Yes. They are not easy at all! Good luck! I hope this helps a little! Thanks to you and your lovely assistant Leroy for sparing some future pain with these visuals. God bless you! I am so happy to learn this information! I usually see a darkish spot and that’s about when Blueberry decides she has had enough of me filing her nails. Now I know why! I cannot begin to tell you how grateful I am for this post. I’m glad it helped! I’ve learned that most dogs will let us know when we are getting close! Thanks Stevie! I’m glad it’s helpful! I’ve known about this, but it still scare me. 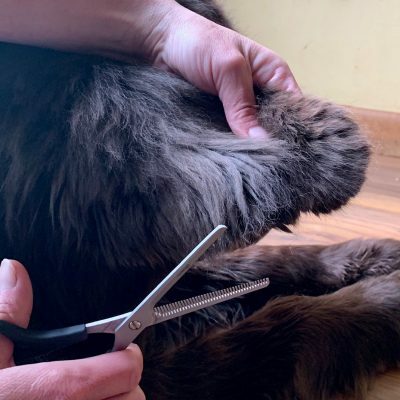 And since Ziva won’t be touched with the clippers I have just resorted to tediously filing all the dog’s toenails…It takes a while but it gets it done stress free for everyone! Yes! Whatever is less stressful for everyone involved is the best way to go for sure! Thanks Earl! and I agree! I’d definitely join that club! Bailie and I have lots of black nails and Mom knows that spot well. Fantastic photos! I didn’t know about it for the longest time, and even when I was told I wasn’t sure what to look for. Someone described it as it looking like when you’ve bitten an M&M in half. That helped! OMD, what you went through to demonstrate this. You and Leroy are heroes. I keep saying that the older I get I’m going to need a magnifying glass! Thankfully these guys have big nails so I’m good for now! Thanks Monika! This was a fun one! Thanks Anne! I couldn’t agree more! I like that tagline! This is a great post! Just finished cutting my dogs nails and looked up a post on the the quick of a dog’s nail and found your post. It’s perfect. I stopped just in time!